A car which belonged to Sean Fitzpatrick, the former chief executive of Anglo Irish Bank, has been crushed to raise funds at a charity evening in Dublin. 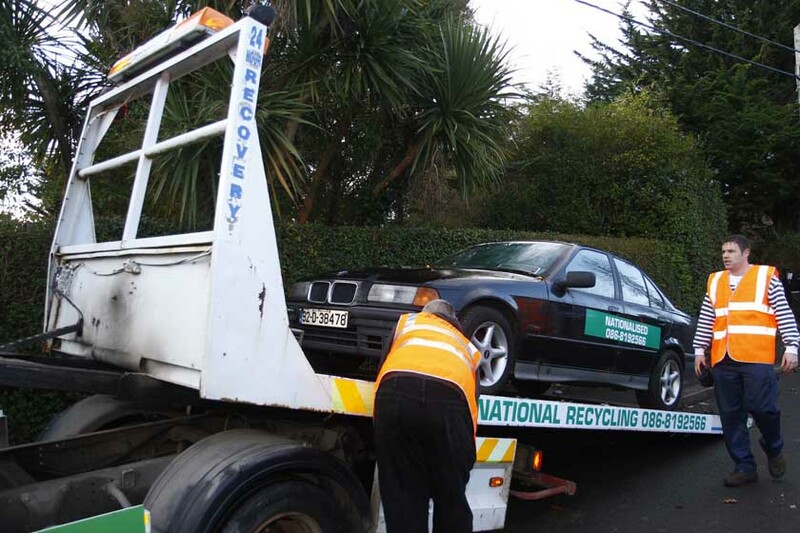 The 3 series black BMW was purchased by National Recycling in Clondalkin for €1,234.56. The company organized an online charity auction in which 30 people entered a bid to become the first person to crush the car. The winning bid was fetched over €3000. Conor Hand, the sales manager for National Recycling said the event was about moving on from the mistakes of the past.